I made this recipe a while back and just never got around to posting it (I know, big shocker)…but my sister sent me a text this morning asking if it was on the blog so naturally I sprang into high gear so she could have it, I work best under pressure. 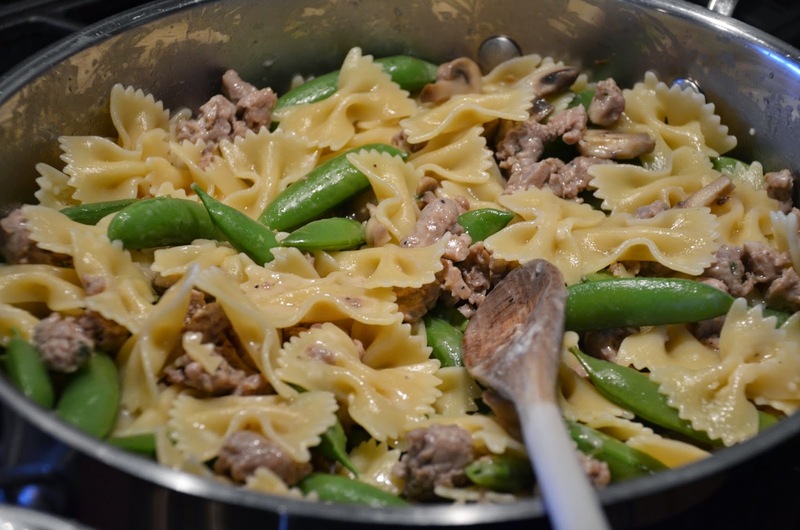 My mom used to make this all the time when we were kids, it was definitely in the weekly rotation for a while. 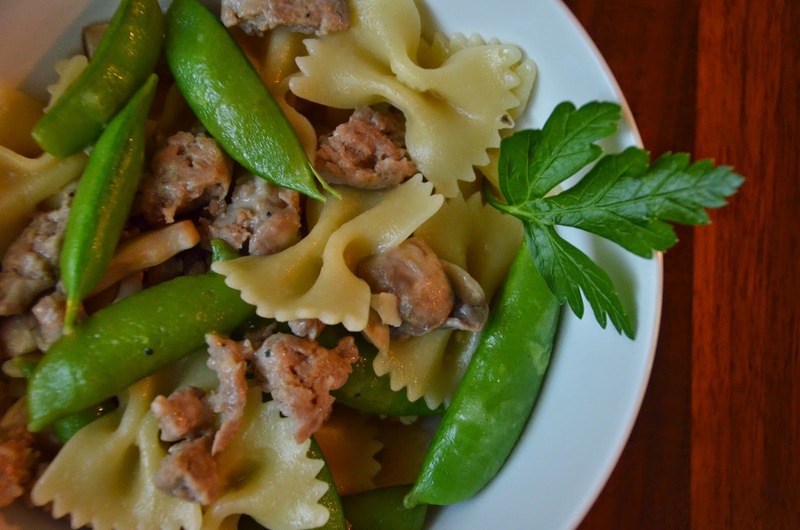 The flavors are perfect together…the saltiness from the turkey sausage, the sweetness from the pea pods, the tangy-ness from the Parmesan, and the fun-ness from the bow ties pasta…a lot of “ness” going on with this one. 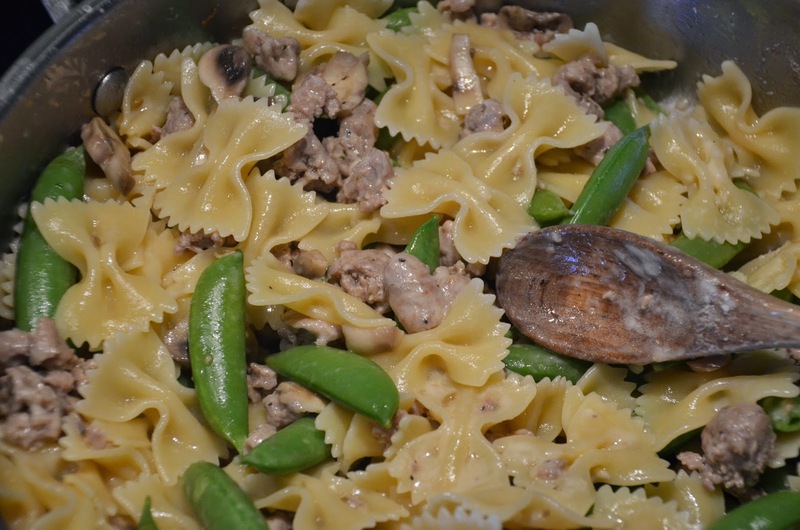 Get your salted water boiling on the stove…and add the pasta when it starts to boil (very important). Don’t forget to reserve 1/2 cup of the pasta water after you cook it. 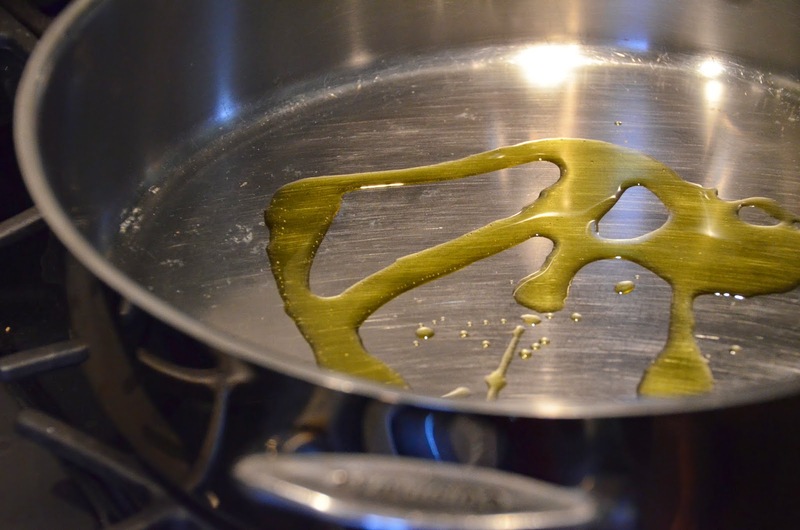 Also get out a heavy bottom large skillet and add some olive oil to it. 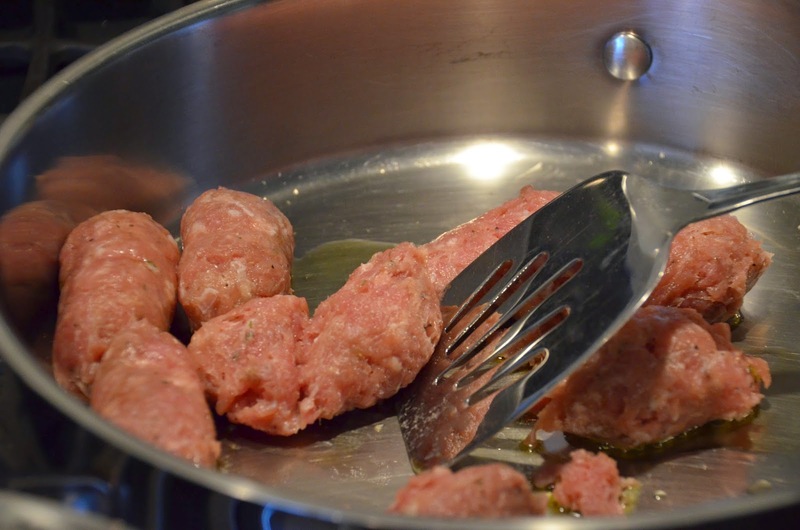 Then add your turkey sausage, but you have to get it out of the casing first..use a wooden spoon to help break it up into bite size pieces. You guys are probably totally sick of me pimping out turkey sausage but I can’t help it, everything tastes better with turkey sausage! EVERYTHING. 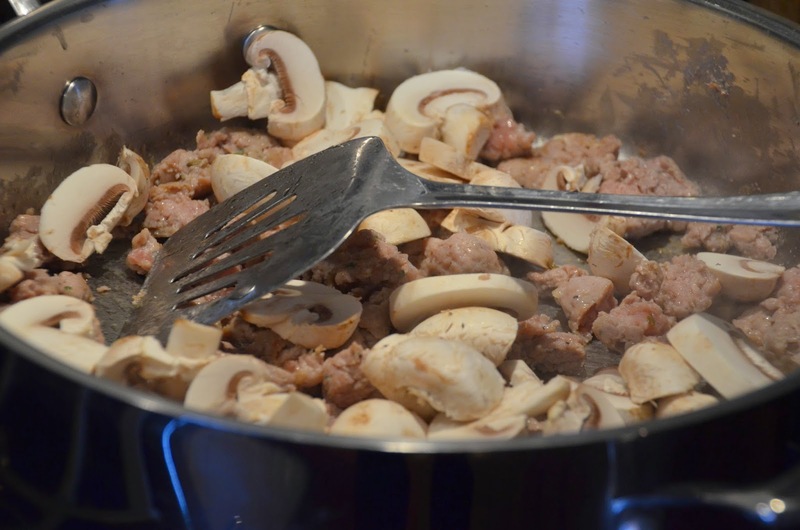 Once your turkey is cooked through add your mushrooms (if you’re adding them). Let that saute for a while until the mushrooms soften a bit…and then add 1/2 cup of white wine, you can substitute chicken broth but I don’t know why you would. Next add in your pea pods, these go in last because you want them to cook but still maintain some crunch. 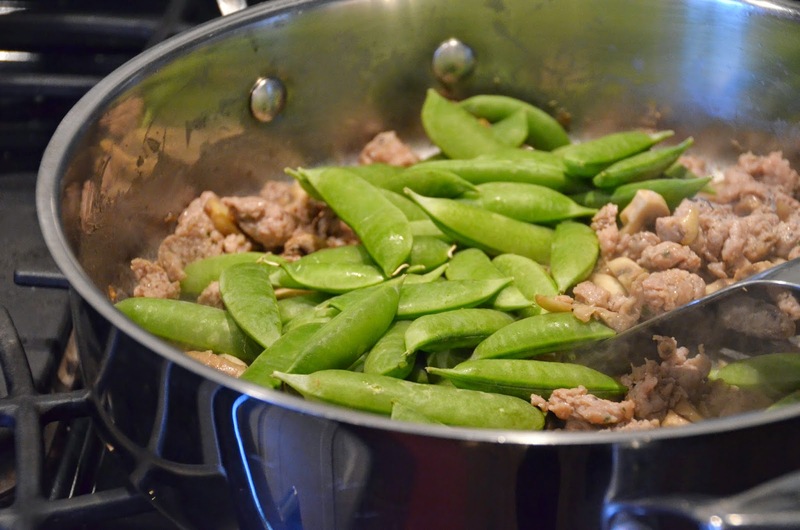 Cook the pea pods for about 5 minutes and then go ahead and add your cooked pasta, 1/4 cup of your reserved pasta water, and your Parmesan. 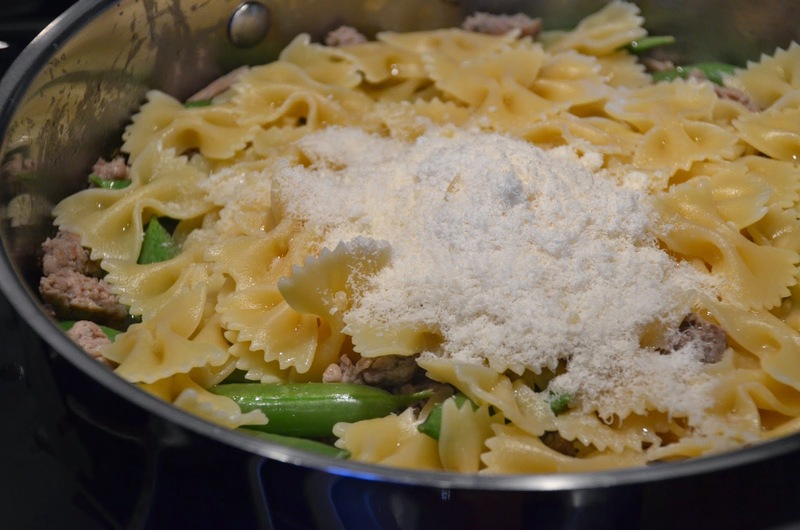 You can add the other 1/4 cup of pasta water if you think the pasta is too dry. The water also helps to melt the parmesan and creates a nice sauce. It’s done…and it took about 15 minutes all together. This dish is the epitome of dinner at home for me. 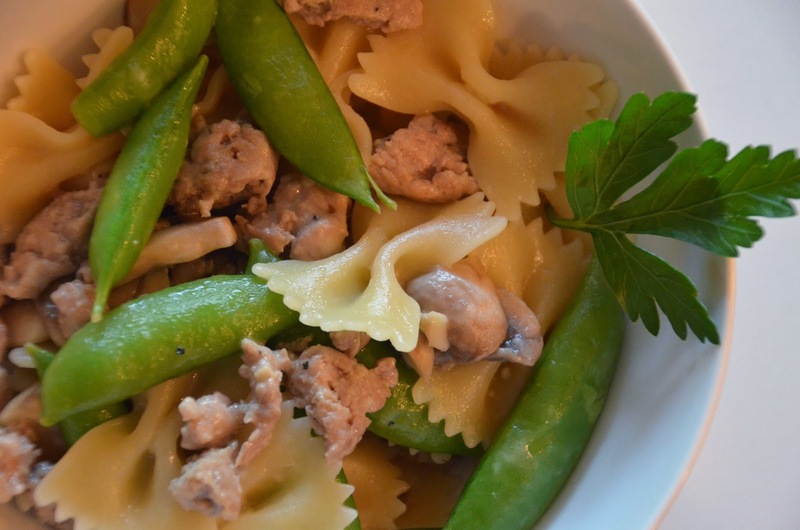 It’s super kid friendly but equally enjoyed by food snobs alike. I hope everyone is enjoying the cooler weather these days…this is definitely a winner anytime of the year.